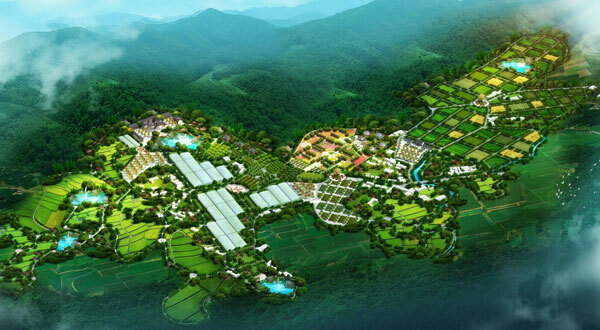 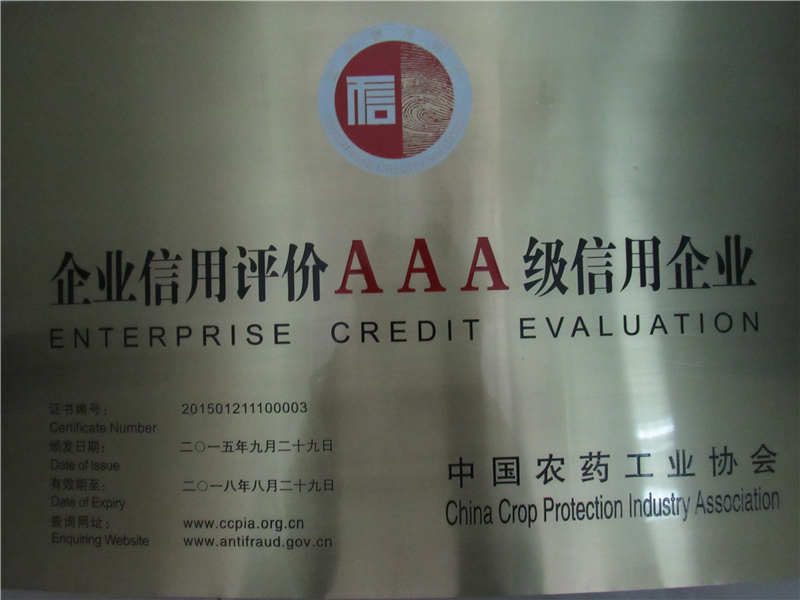 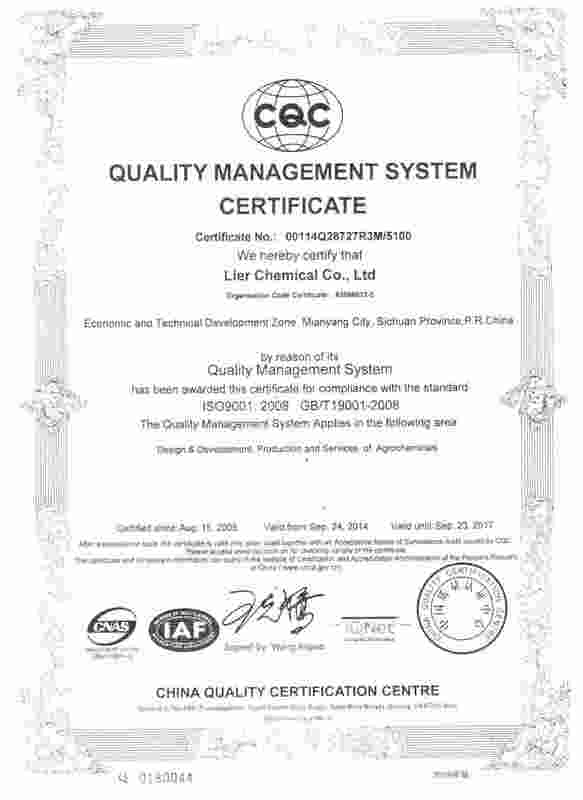 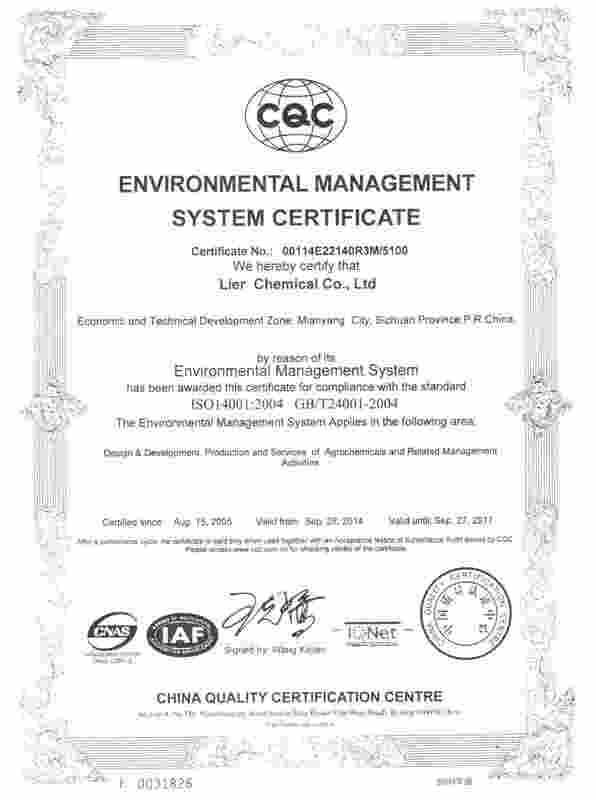 In the future, LIER Chemical will bebased on the sustainable development between the human beings and the nature,and committed to developing into a worldwide stable and reliable supplier ofsafe and efficient pesticide active compound. 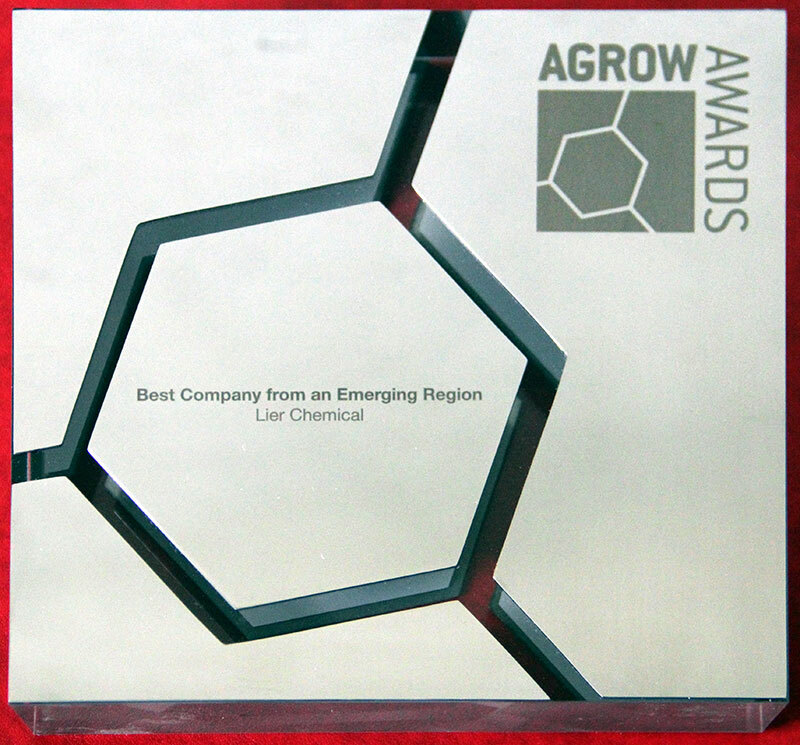 We aggressively investigate and provide more scientific cropprotection solutions, to create LIER Chemical as a chemical enterprise with internationalcompetitiveness and influence. 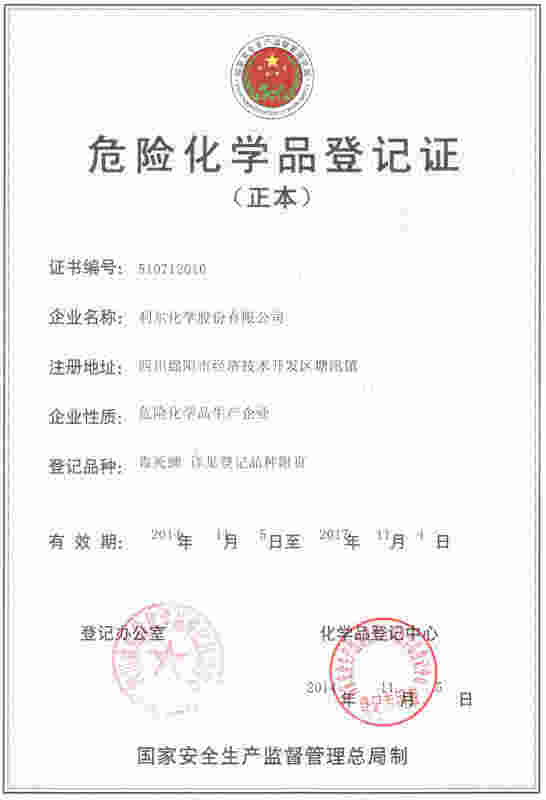 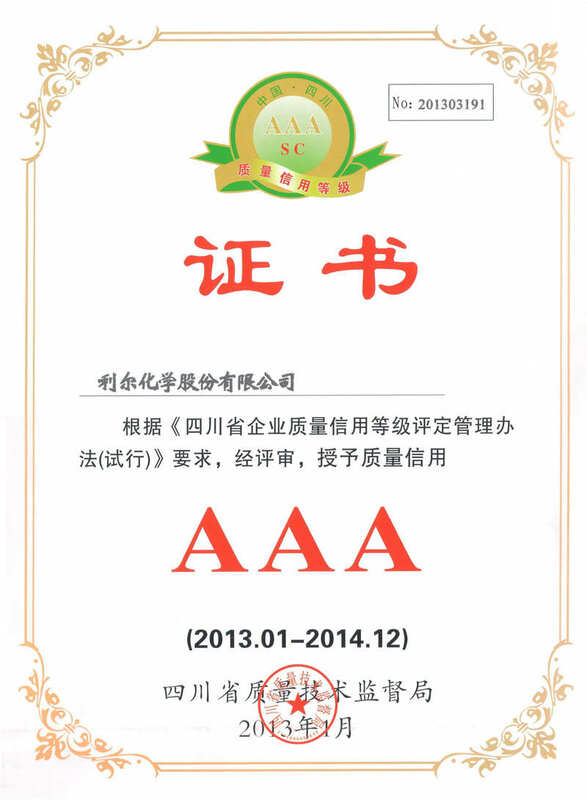 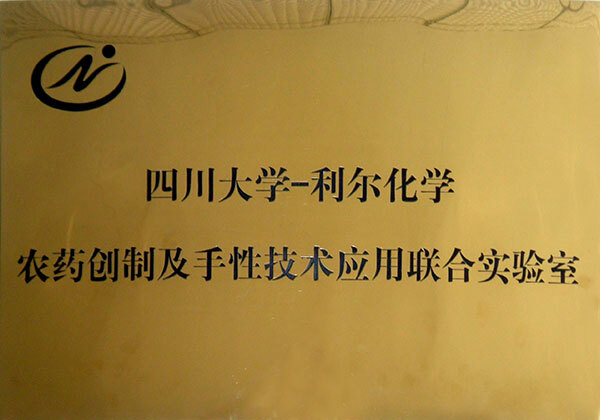 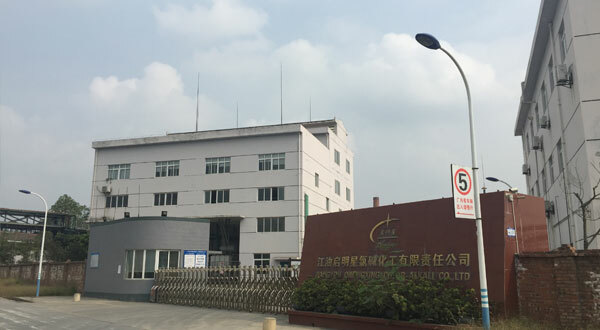 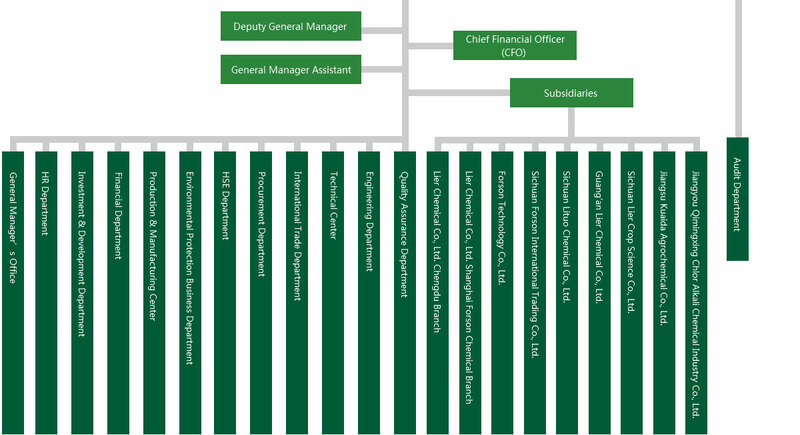 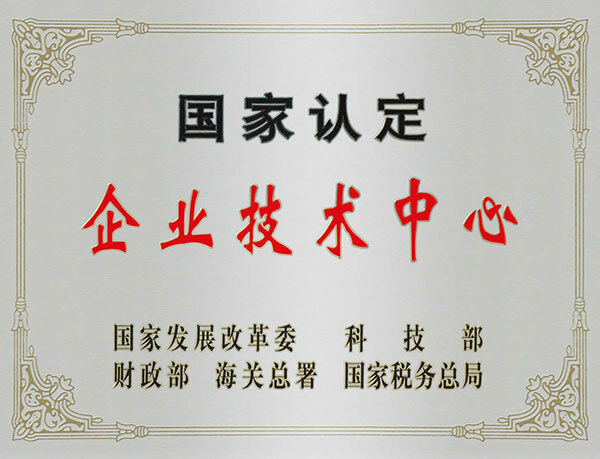 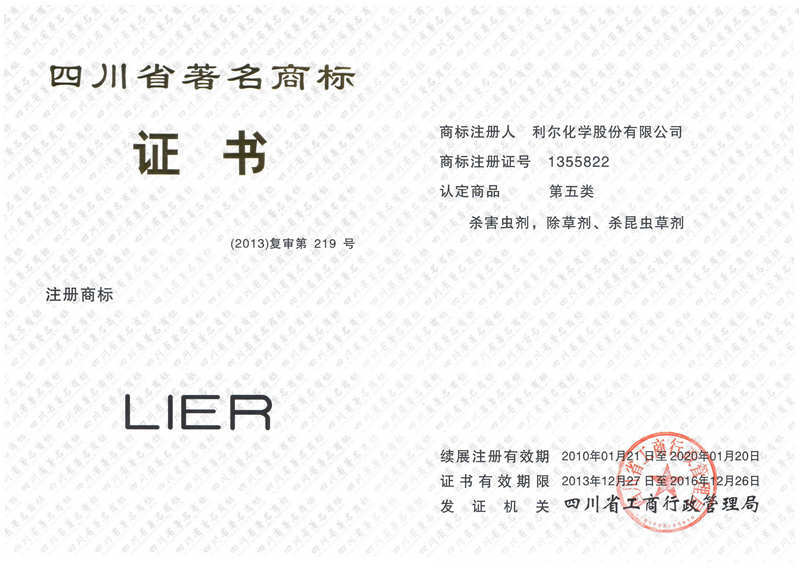 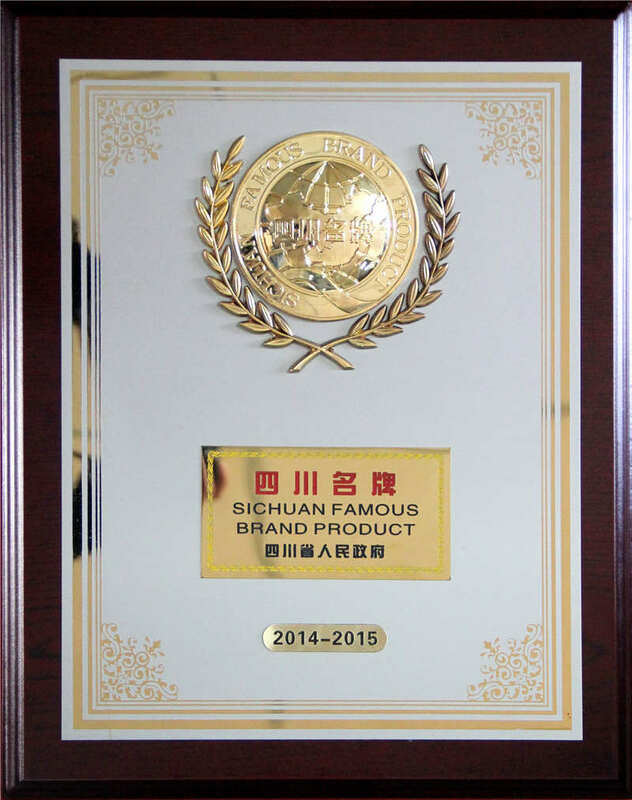 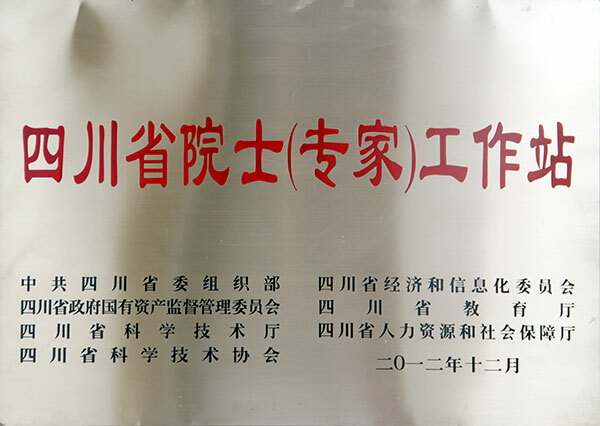 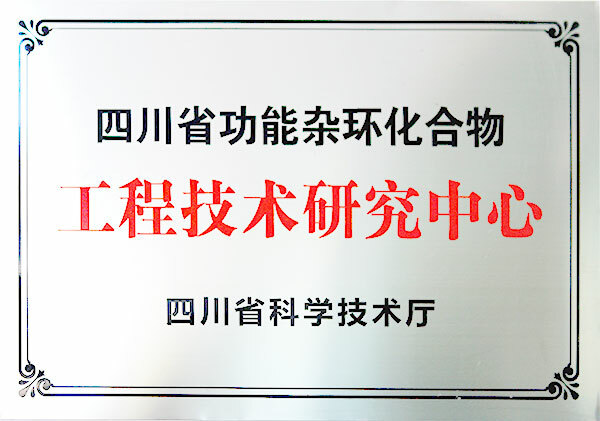 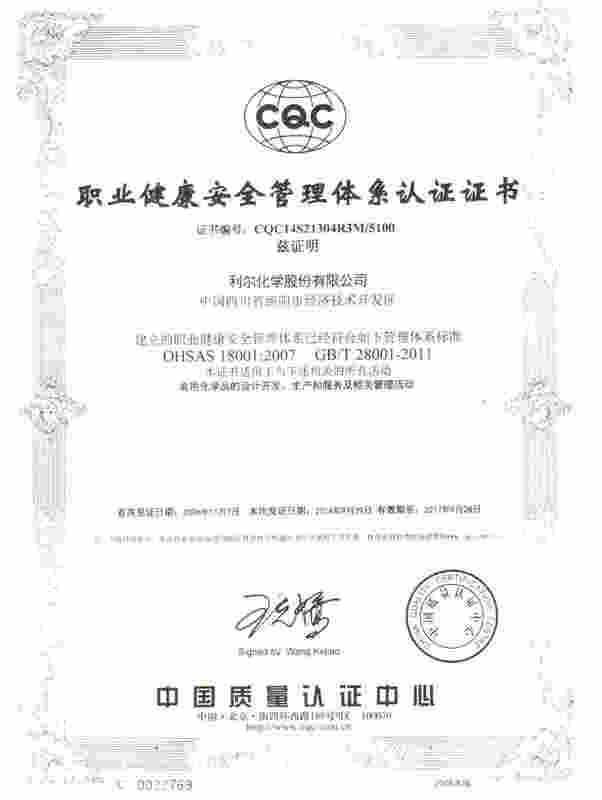 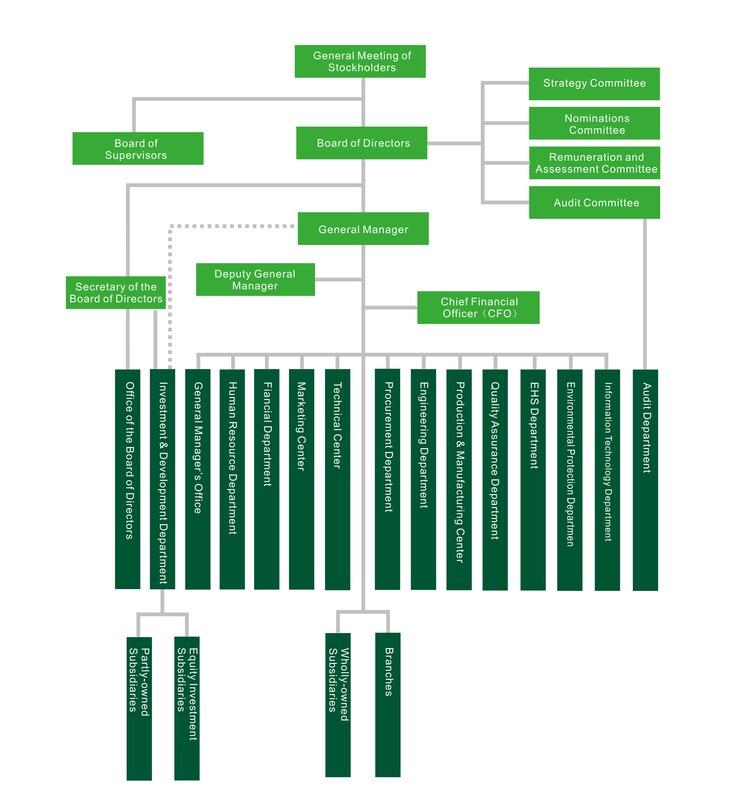 As is well known that "good faith" is the cornerstone of success, Sichuan LIER Chemical Science Co., Ltd. always maintains operational transparency and adheres to stringent specifications of corporate governance, taking full responsibilities for the shareholders. 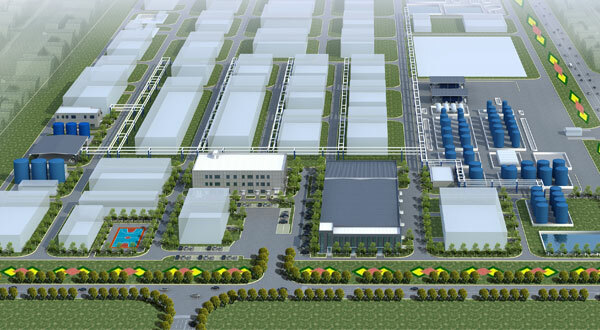 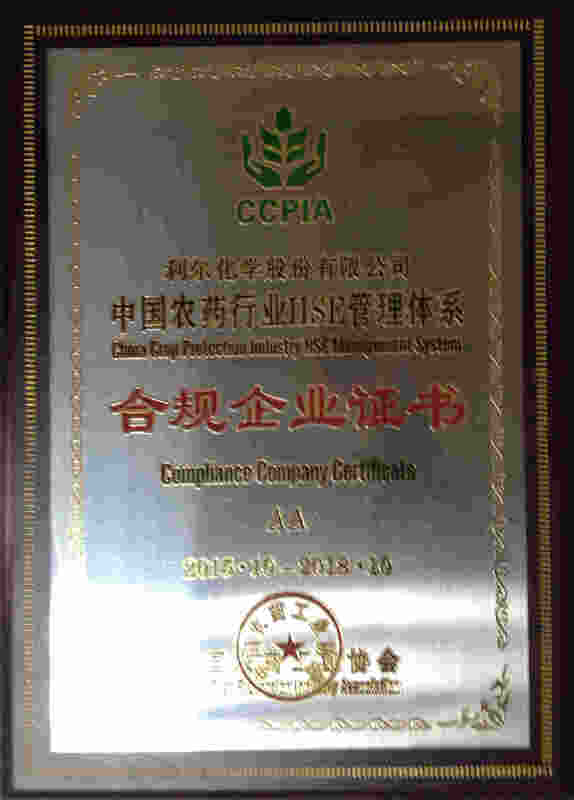 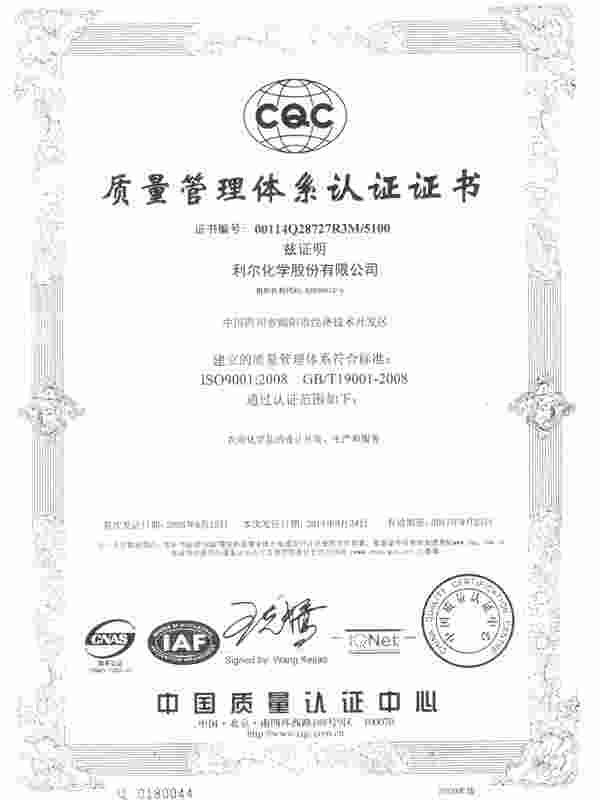 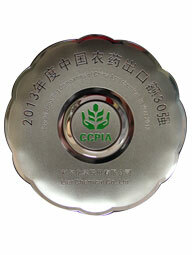 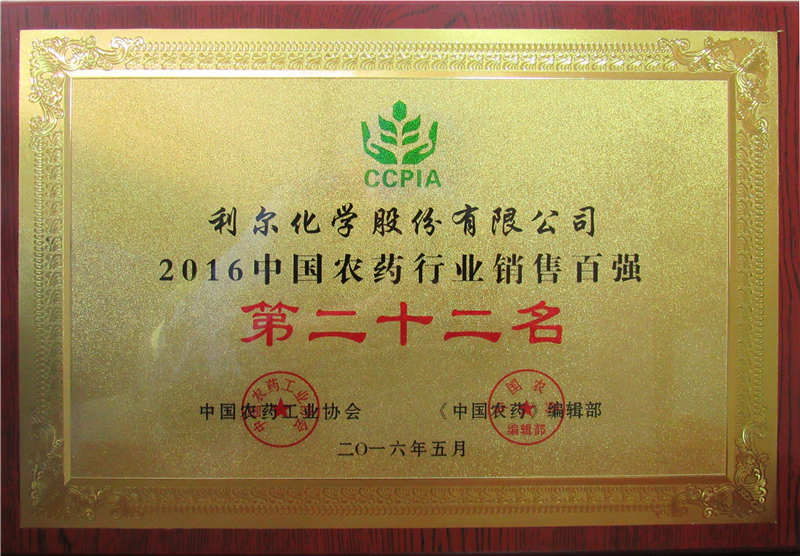 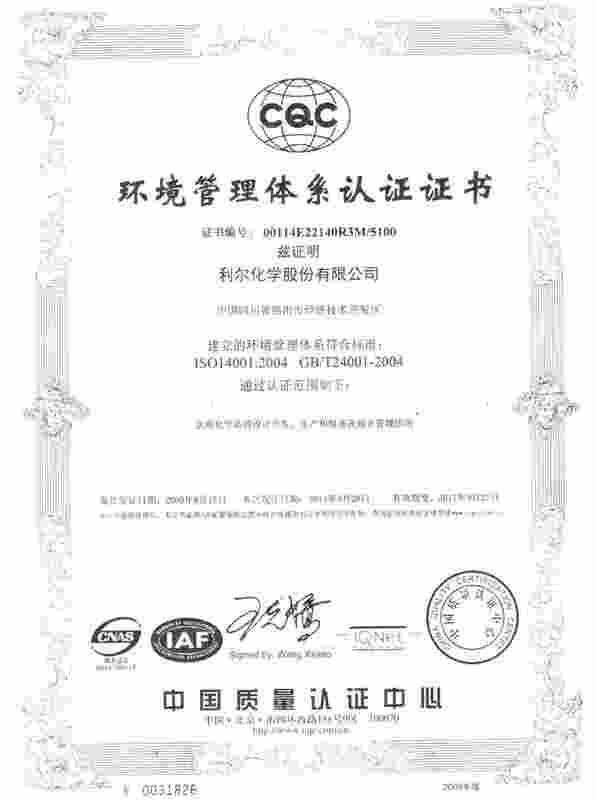 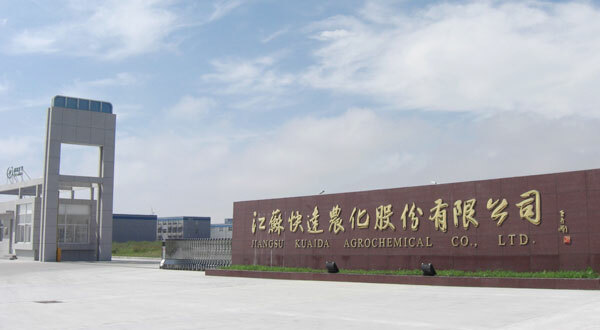 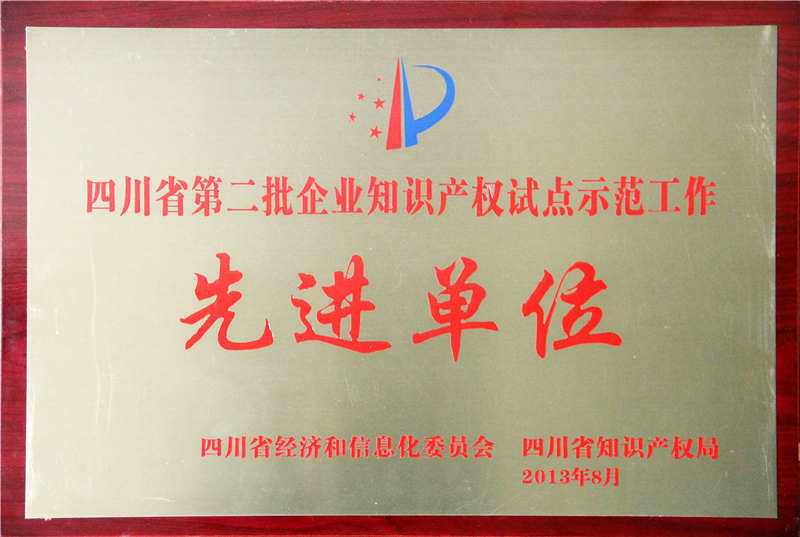 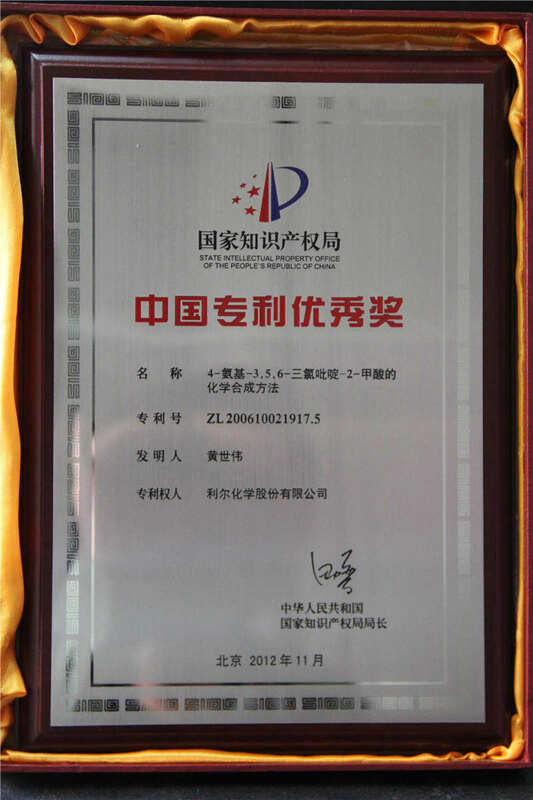 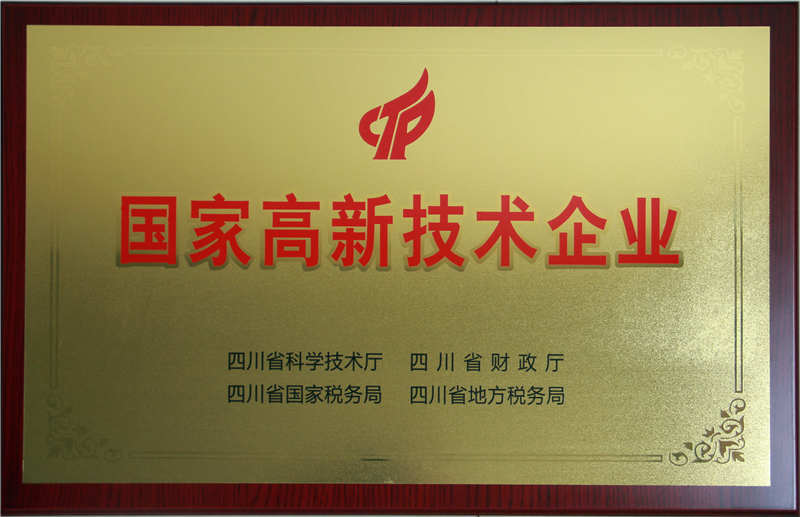 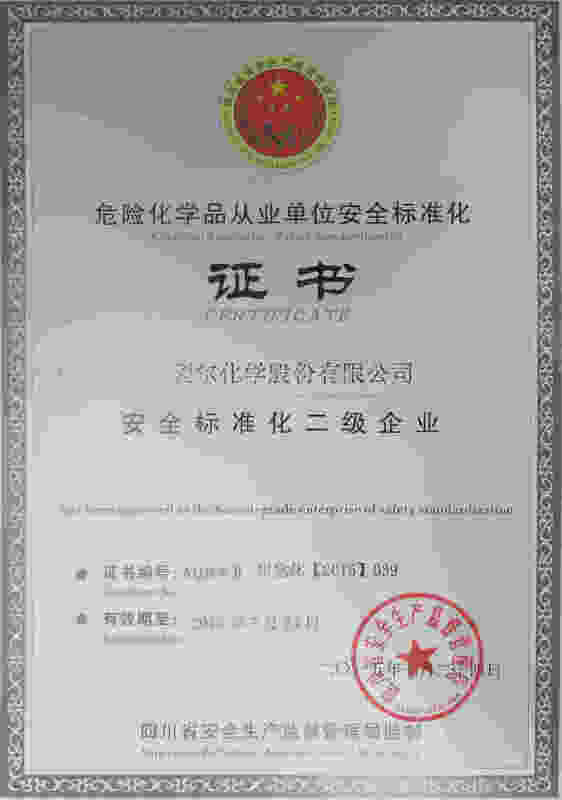 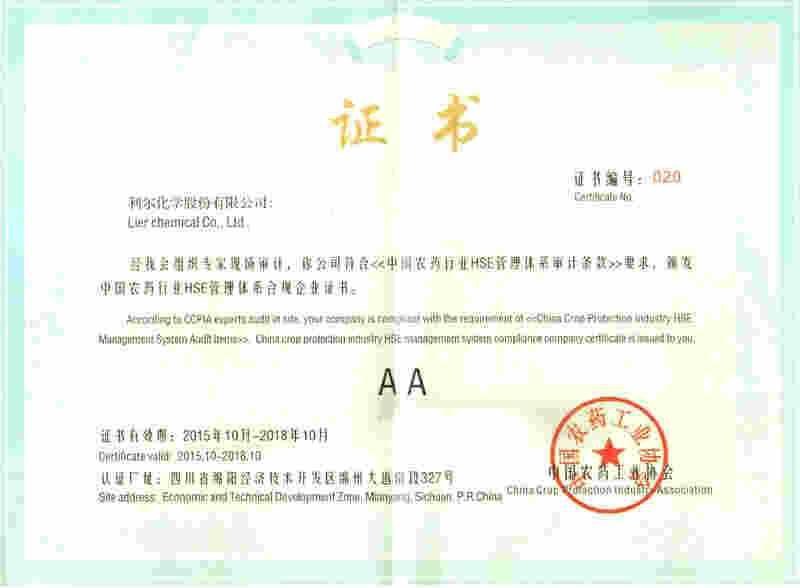 Sichuan Lier Crop Science Co., Ltd.
Guangan Lier Chemical Co., Ltd.
Jiangsu Kuaida Agrochemical Co., Ltd.
Jiangyou Qimingxing Chlor-Alkali Chemical Co.，Ltd. 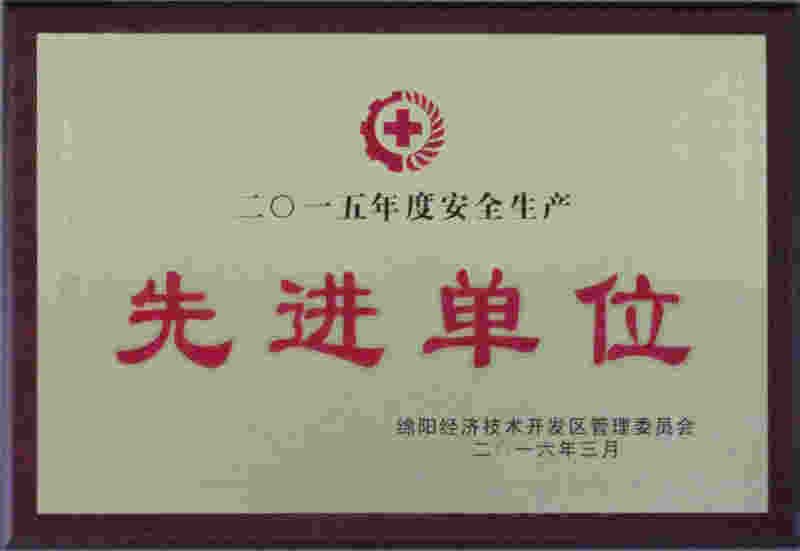 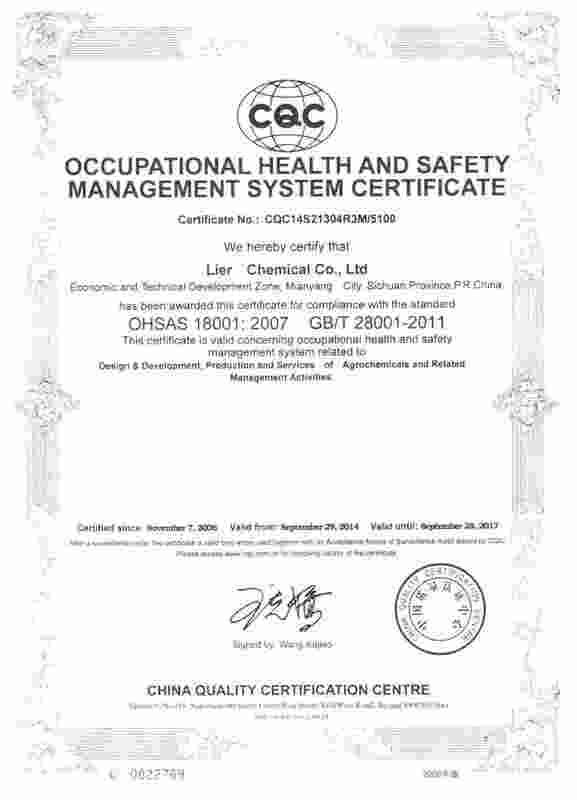 All Rights Reserved for LIER Chemical Co., Ltd., No Reproduction or Use Without Prior Written Authorisation is Allowed .